Yesterday, Aaron and I attended the Adobe Android Summit, where Adobe, among other things, did a demo of the upcoming Google TV box. Below, you will find Aditya Bansod's whole talk recorded by me in 1080P HD using Canon T2i (love this beast). 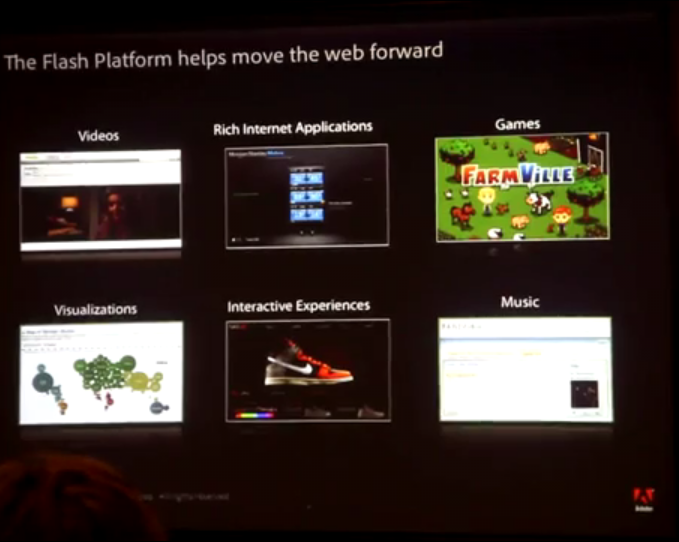 For more info on this and other talks, read Aaron's summary report: Adobe Android Summit 2010: "One Web. Any Device." Unfortunately, the card was formatted as FAT32, so as soon as the videos reached 4GB, T2i shut off recording, resulting in small gaps between all the parts. In my defense, it doesn't look like Canon included support for NTFS, so I don't see a way around the problem yet.